a. rama; b. filoide; c. cauloide; d. receptáculo; e. vesícula. 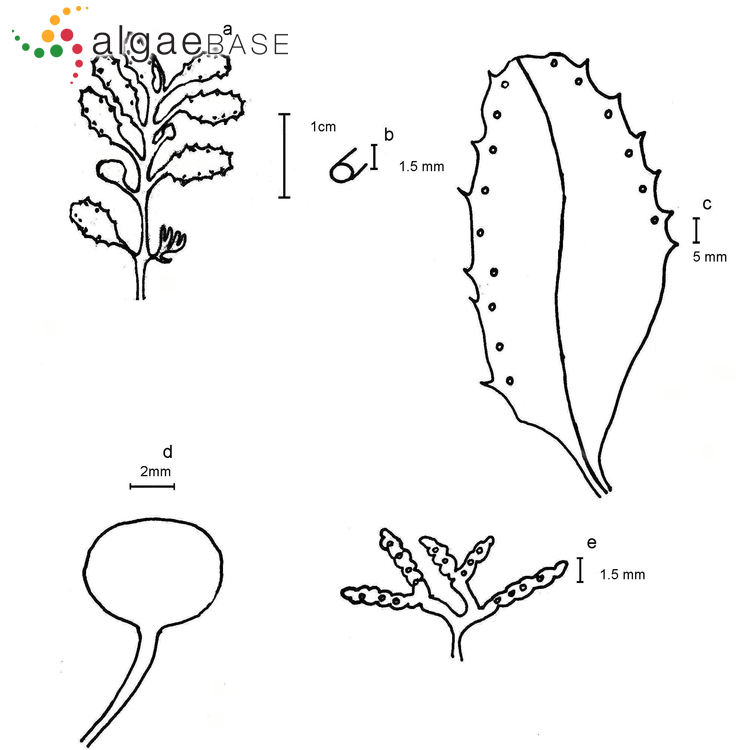 Esquema: Lourdes Moreira..
Sargassum bermudense Grunow a. rama; b. filoide; c. cauloide; d. receptáculo; e. vesícula. Esquema: Lourdes Moreira. Published in: Grunow, A. (1916). Additamenta ad cognitionem Sargassorum. Verhandlungen der Kaiserlich-Königlichen Zoologisch-Botanischen Gesellschaft in Wien 66: 1-48, 136-185. 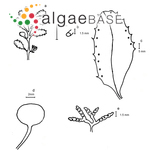 Accesses: This record has been accessed by users 1298 times since it was created.